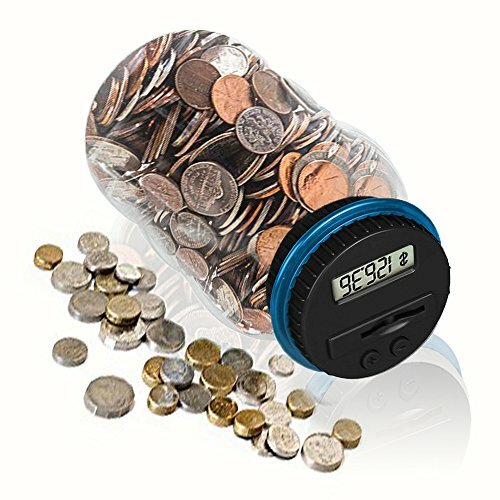 Automatic Coin Counter: Digital LCD Display automatically tracks savings. Simple Operation: +/- Button on easy twist-off lid for coin retrieval. Great for all ages. Features: ABS Material; 12*12*22 CM; Powered by 2*AAA battery(Not included). Great Gift: Perfect for kids saving pocket money. A good way to save your loose change. Great way to teach the young ones to save money. Awesome learning tool for my little one!